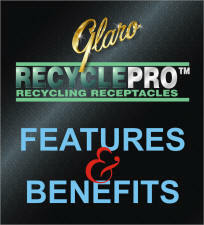 We are pleased to introduce Glaro RecyclePro Recycling Receptacles! Never before has it been so simple to supply a facility with attractive and functional metal recycling receptacles from perhaps the largest and most diversified line of recycling receptacles. 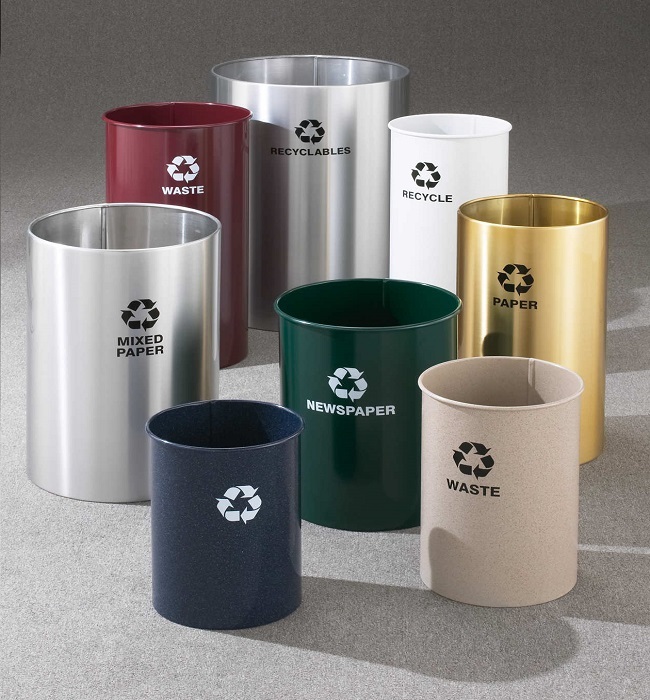 All Glaro RecyclePro Recycling Receptacles and Recycling Containers are fabricated with fire-proof aluminum or steel, making them ideal for every facility. Every part of these receptacles is constructed with recycled metals at the U.S.A. Glaro factory. All RecyclePro Recycling Receptacles, also known as recycling bins and recycling containers, are shipped within 3 days of receipt of your orders! 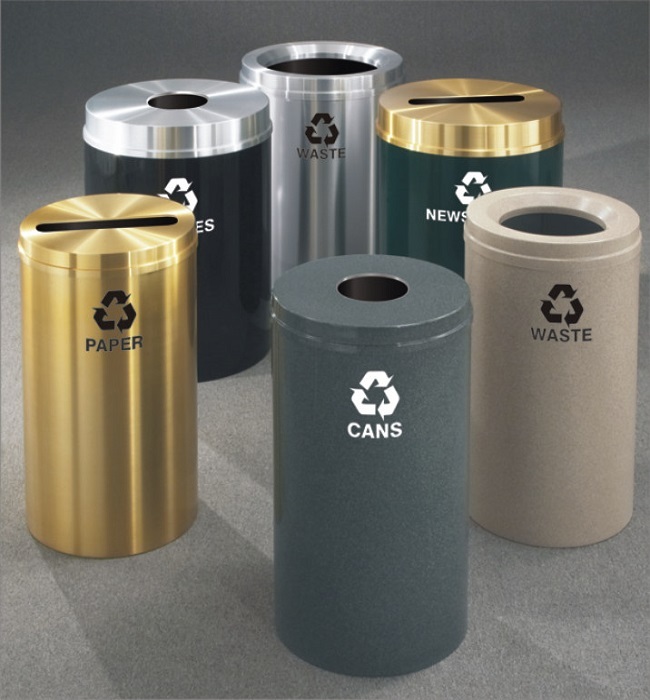 Supplied with heavy gauge, seamless, hand spun aluminum covers, Glaro indoor/outdoor Recycling Receptacles are durable as well as handsome. 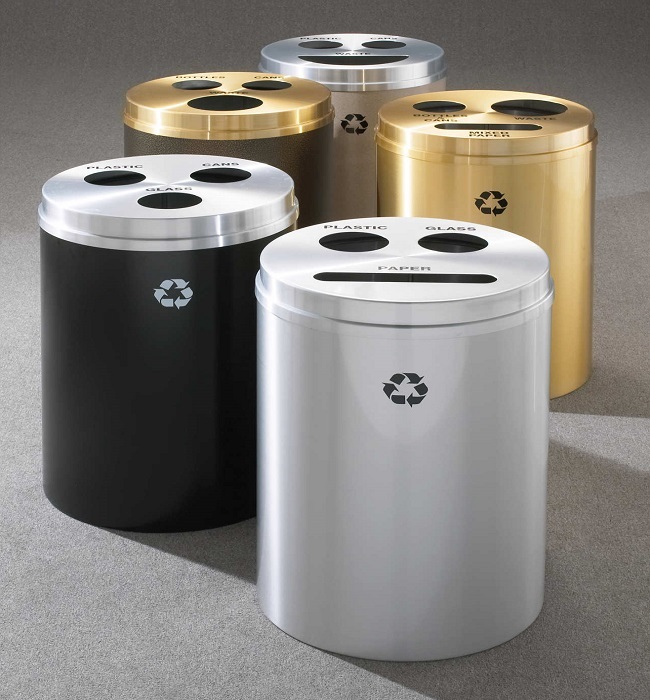 Choose from our selection of shapes for each recycling hole on each cover, allowing Glaro RecyclePro Recycling Receptacles to conveniently sort the recyclables in a way that is best suited for your facility. 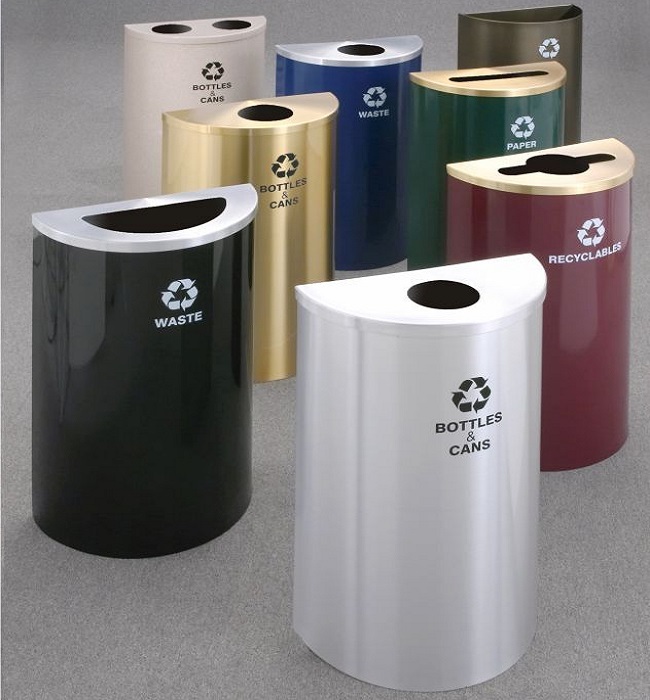 RecyclePro Recycling Receptacles have covers and bodies that are silk screened with clear messages and logos that look professional and last indefinitely. We allow you to choose the message/logo you want for each opening of our recycling receptacles. 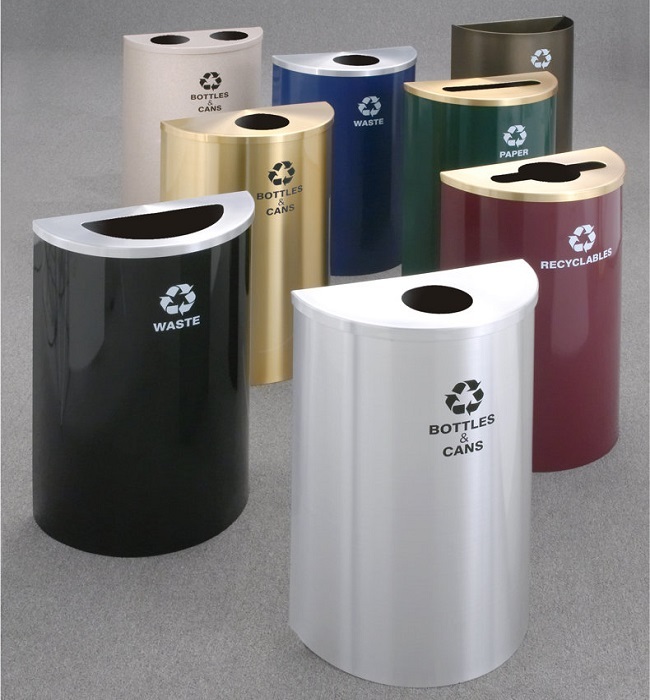 Custom messages and corporate/government logos are easily prepared to customize your RecyclePro Recycling Receptacles. 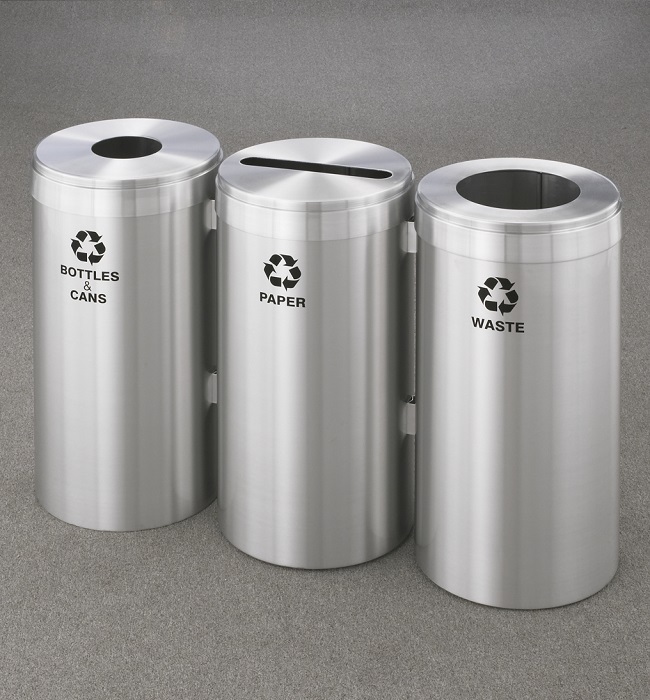 Watch our website for new models of recycling receptacles and bins, premiering soon. 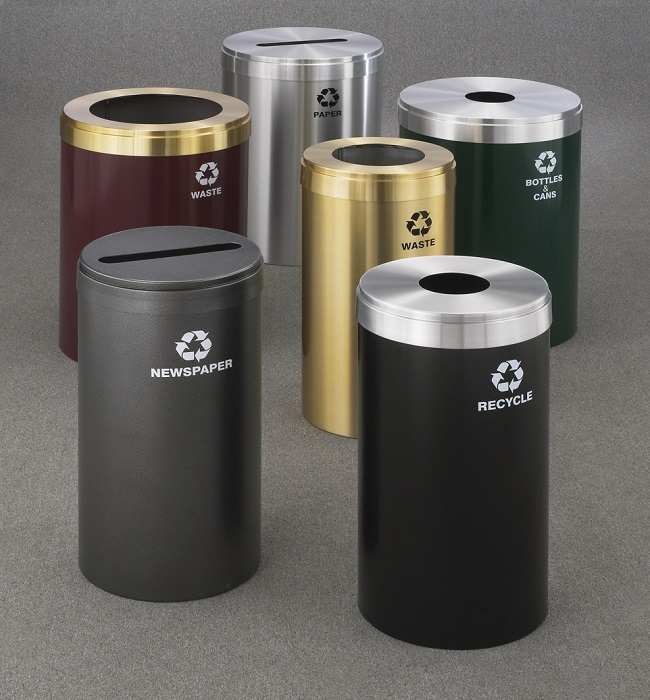 These smartly designed recycling receptacles are also expected to become a favorite of commercial designers and purchasing agents who know recycling receptacles. 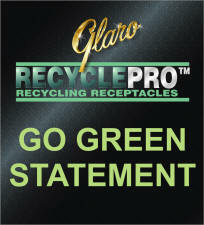 Make Glaro RecyclePro Recycling Receptacles, recycling bins, and recycling containers your choice! 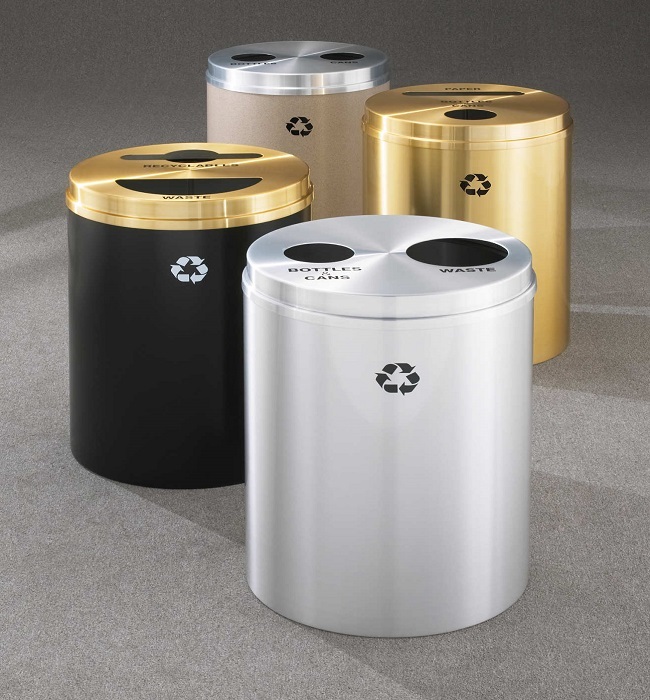 Learn about Waste Receptacles and Trash Receptacles Manufacturers.